As a small business owner, you can't afford to make mistakes in balancing your books. Don't rely on your gut feeling to handle the financial management of your company. Wells Accounting Services in Davenport, Iowa, offers QuickBooks training to increase your business productivity and efficiency. QuickBooks is a financial software program ideal for small business use. 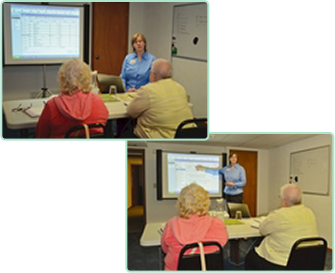 Take advantage of our training classes, or any of the other accounting and tax services we offer. As part of our business consulting services, we offer one-to-one training sessions at our location or yours. QuickBooks allows you to cost-effectively manage your business' payroll, inventory, sales, and other areas specific to your industry. You can also easily track and analyze data to help you make important business decisions. Our personalized instruction will enhance your expertise and confidence in managing the financial aspects of your small business. QuickBooks is a registered trademark of Intuit, Inc. Our courses have not been reviewed, approved, or endorsed by Intuit. Intuit expressly disclaims any responsibility for its content.